I am presently in my fourth project with the Uniterra project in Haiti since the middle of November, 2018. 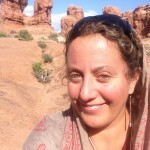 I have a country mandate to be a support in environmental issues for the local team and partners. I started in Cayes in the South and now I am in Cap Haitian in the North. 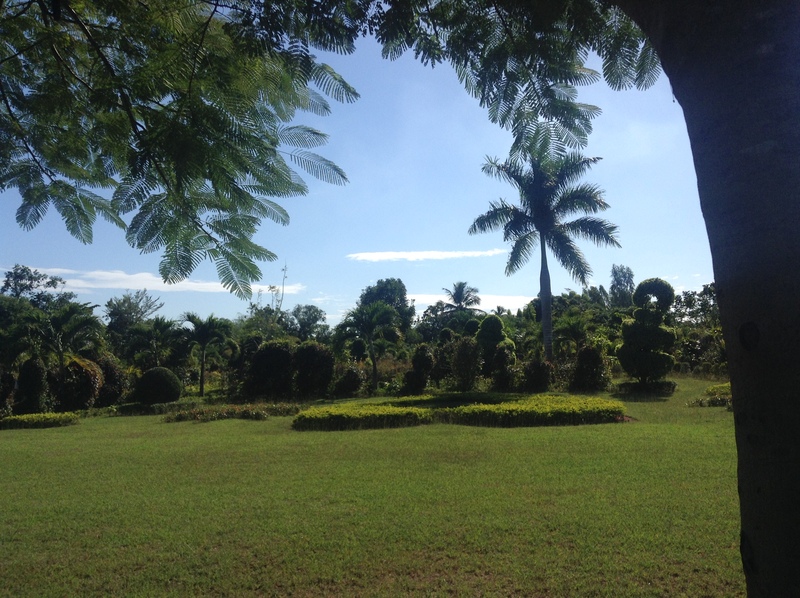 When I was in Cayes, I heard about the Botanical Garden, and I really wanted to go and visit! The Uniterra coordinator arranged a visit and we when to meet Agronomist William Cinea, the director and founder. 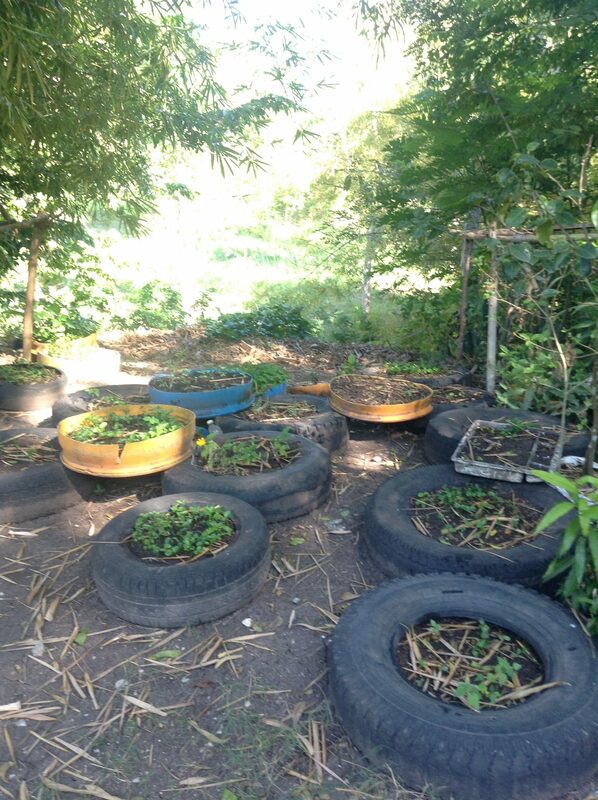 The garden is a long-time partner of Uniterra, they had received volunteers before and they are a part of our main partner at Cayes at the moment: ATSud, the tourist association of the South. One of the first things that I saw in the main office was a book about the Mosaicultures in the Montreal Garden, I took the book and I told him… I was a guide in this event! For our mutual surprise, he was there at the time of the preparation of the international event that had place in 2013. Mosaiculture was an international contest of huge statues made of a metallic structure, and covered in little plants that gave a great texture. William was doing an internship in Montreal at the time. We discovered that we knew a lot of people in common! So, with this experience in common, we started talking and we never stopped! 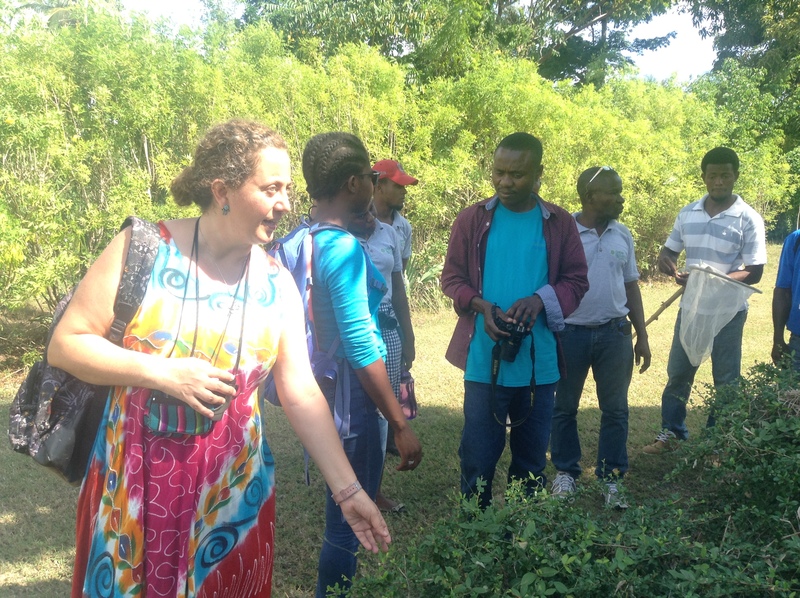 At the first visit I had a guided tour of the beautiful garden, an oasis of green in Cayes. The six hectares garden was created in 2003, and opened to the public in 2007. Now, it employs around 30 people: guides, gardeners, managers, etc. They receive around a thousand students a year, which may be the only outdoor educational activity about biodiversity that they have. We visited the topiary garden (shrubs that are trimmed to have specific shapes) that was inspired by the Mosaicultures of Montreal, a piece of natural forest, an arboretum with tropical fruits such as the star fruit (that we had the pleasure of eating in place), bamboo paths and many more gardens. Next time, I went specifically to a planning meeting for workshops that I could give to their employees. After a long conversation, and listening to their particular needs, we settled in three subjects that I was to present in two hours each. We also visited a sister project belonging to the same director, “Nature Design” a place to buy plants, to find landscape services, to walk, to have a picnics, and many more activities planned for a near future, such as a giant labyrinth made of shrubs. The week after that, I was invited to participate in the presentation of a project financed by USAID and PADF (Pan American Development Foundation) called “A green school for a green Haiti”. Fifteen schools brought their children to participate in a symbolic plantation of trees in the garden to learn how to plant in their own schools, which was going to be the second part of the project. Finally, the time to give my workshops arrived! The first was about biodiversity of the country, why is important to learn about it, and how to transmit their value to the visitor. In this presentation, I also included all the subjects that we wanted to present to the employees… giving many resources, some guiding techniques and examples of the educational activities that are used at the Spaces for Life in Montreal (Biodôme, Botanical Garden, Insectarium and Planetarium). I was a guide in these institutions form 2008 to 2015, when I left to go to Guatemala with the Uniterra program, so, I know them well. The following day, I started the morning talking about insects and how to organize an exhibit or activities for their public about this subject, and telling them the story of the Montreal Insectarium, Georges Brossard, the founder, and all the interesting events that they organize and how they could be adapted to their garden in Haiti. We had a break to go into the river and the natural forest they have to observe, photograph, capture and release some insects, spiders, and millipedes. We finished the day talking about birds, their general biology, taxonomy (classification in families, orders, etc. ), and most importantly, how to observe and educate about them in the garden with children. We even saw an endemic species (species that are only found in a particular place, in this case in the Hispaniola island composed of Haiti and Dominican Republic) the Hispaniola taco, in the cuckoo family. I also use this opportunity to talk about some taboo issues in the “Biodiversity and Education” first part, like snakes, that people generally don’t like in this and many other countries (here there are 27 species in Haiti, none of them dangerous, and even one endemic, the Hispaniola brown racer), to have some of the employees handle insects for the first time, and of course, the difficult topic of having a zero waste life (or at least reducing the plastic consumption). I also had many interesting conversations with Theogene André, the director of research and education and with some of the guides and employees. Even the dog, JB (for Jardin Botanique) was adorable, and a black chicken was always near the main outdoor office and us. I think that when animals are comfortable around people, it is a sign that the ambiance is relax and caring. Now, I am in the North of the country, in Cap, but before I leave in the end of March, I hope to go back for more visits and activities. Anyways, the friendship is already there, and we are in touch through internet and we share information often! Definitively, a highlight of my Haitian experience with Uniterra! 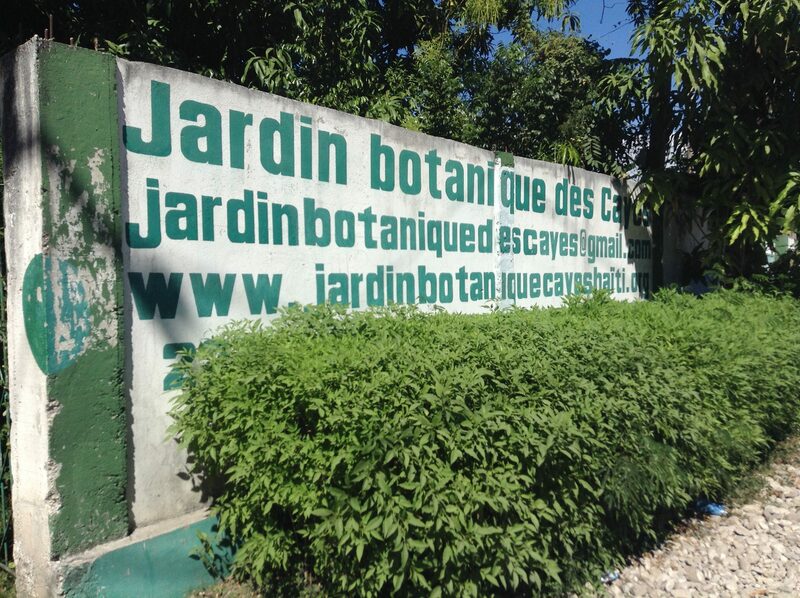 Découvrir le Jardin Botanique des Cayes ! Quand le programme Uniterra déniche des attractions touristiques dans le Sud d’Haïti !